Elaine Hancock (Olney, United States) on 12 March 2019 in Miscellaneous. From the archives. Taken in Berkeley Springs, WV. yes the gate looks solid !!! Quel cadenas et vue et la projection de la grille superbe vue. What a complex arrangement this creates . . 'Champion' indeed ! Joli jeu d'ombres et de lumière. Du très beau travail que cette grille. Very beautiful composition and splendid details on the wrought iron grid . I like all the lines here and the shadows. I like the strong contrasts here. Nice circles and designs on the top of the gate. The lock says keep out and the points say don't climb over. Curious composition. I like the shadow of the wall! 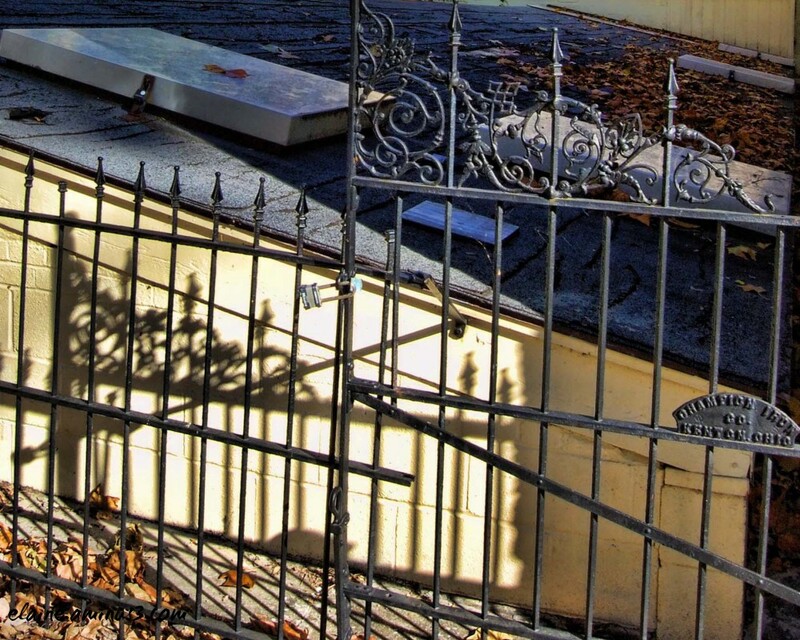 A great play between the light and shadows cast of the wrought iron fence!! A great picture for the way the iron pieces intersect and form angles. I like it very much. Beautiful iron work and shadows. the iron displays fine workmanship, and the lines and shadows grab and twist the view throughout the image.